When long-term partners decide to divorce, splitting up property rights and financial responsibilities is complicated. When children are involved, sharing parental duties and visitation is an added challenge former couples must face. It’s natural to want to have full custody and rights over your children, but it’s crucial to understand that in most cases both parents have a legal right to spend time with their child. 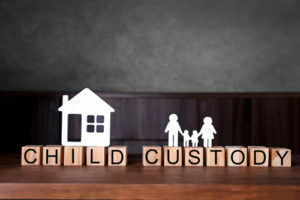 When parents decide to divorce, child custody and visitation issues become much more complicated. You and your former spouse must come to an agreement about where children will spend holidays, birthdays or vacation time and how you will negotiate changes in plans. In general, all decisions should be made and adjusted based on the child’s best interests and current needs. If you want to spend a special day with your child, then you’ll need to plan ahead, negotiate where necessary and compromise with your former spouse. Rather than focusing on the past, attempt to build new family tradition with your youngster. Don’t attempt to duplicate traditions formed prior to the divorce. Remain open to allowing your child to celebrate special events twice with each parent or in unique ways. It’s completely natural to want to provide your child with some form of stability and tradition after a disruptive divorce. Compromising with your former spouse is a necessary step in ensuring your child’s happiness. When you need an attorney to help secure your visitation rights or draft agreements with your former spouse, our firm can help. Utilize the firm’s online messaging system to enlist the help of an experienced legal representative today.